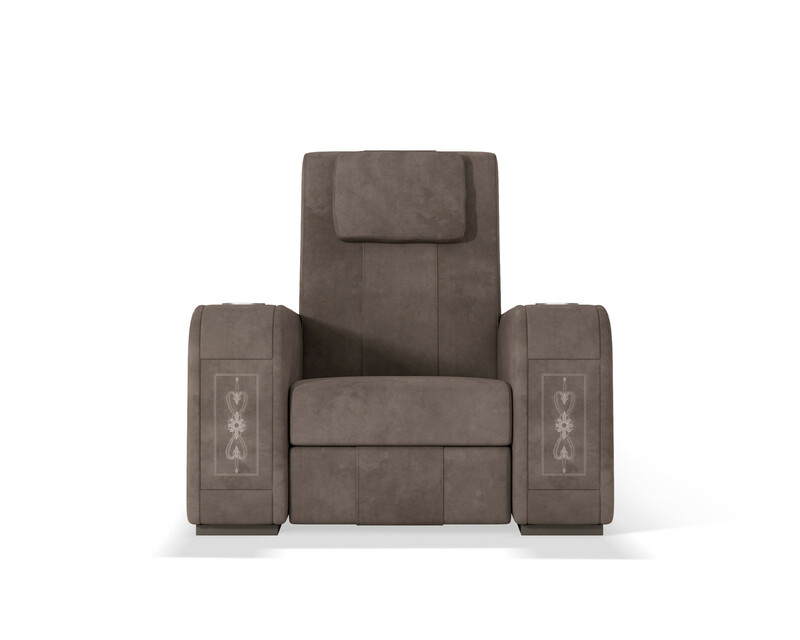 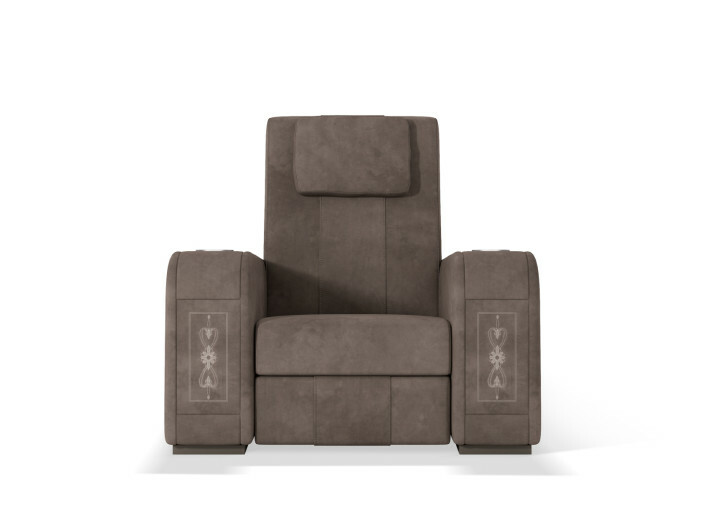 Comfort Reclining Chair is the most essential piece in the theater chair family. 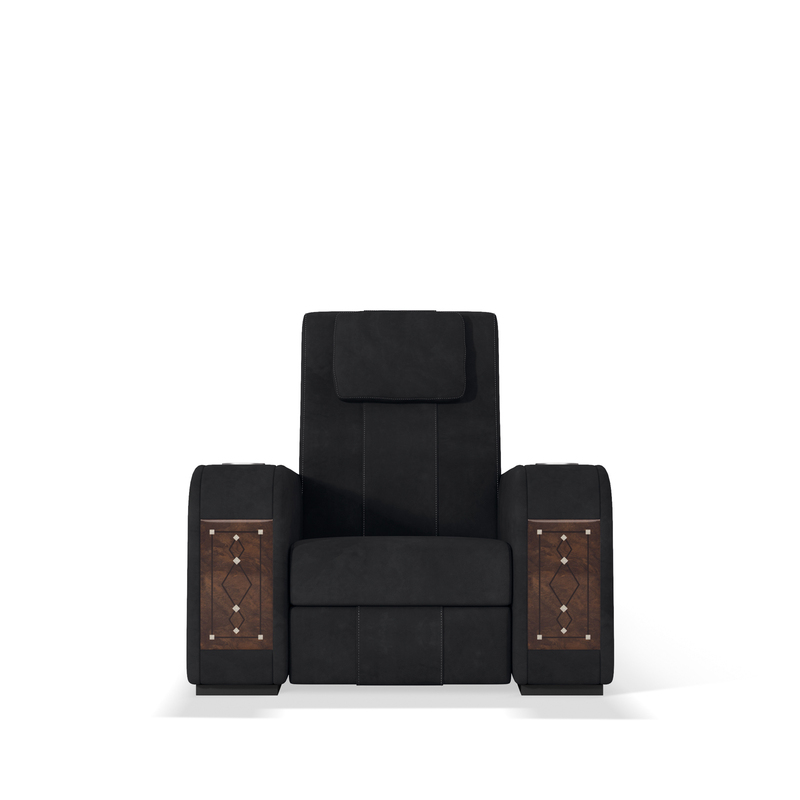 It is characterized by a perfect combination between comfort and refined details, like thick stitching on sight and ergonomic head cushions. 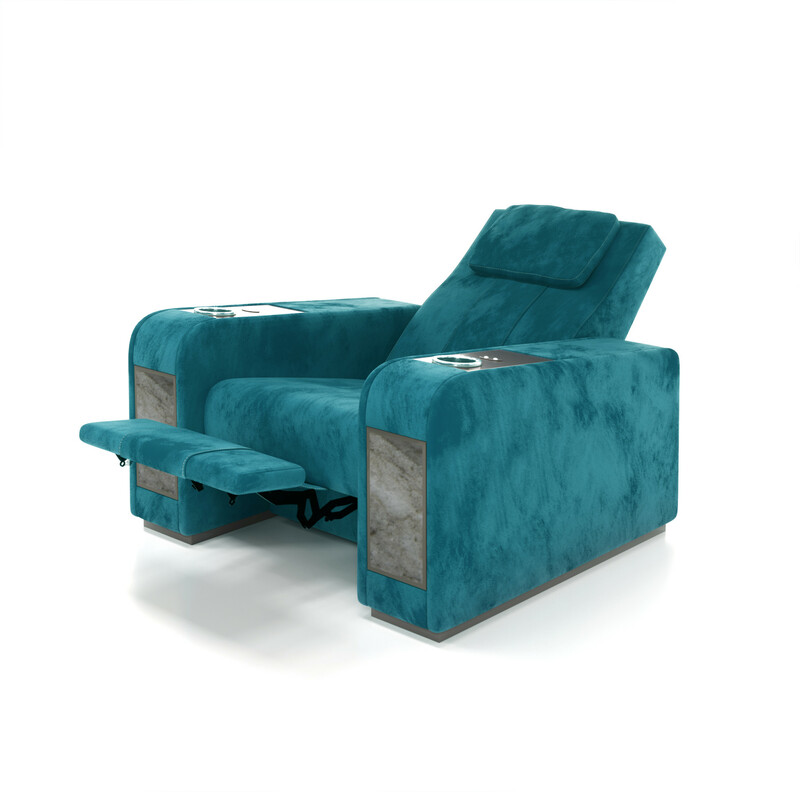 The peculiarity of this product is the possibility to enrich it with decorative materials placed in the front of the arm: precious marbles, wood inlaid with mother-of-pearl and ebony, embroidered leathers and metallic fiber. 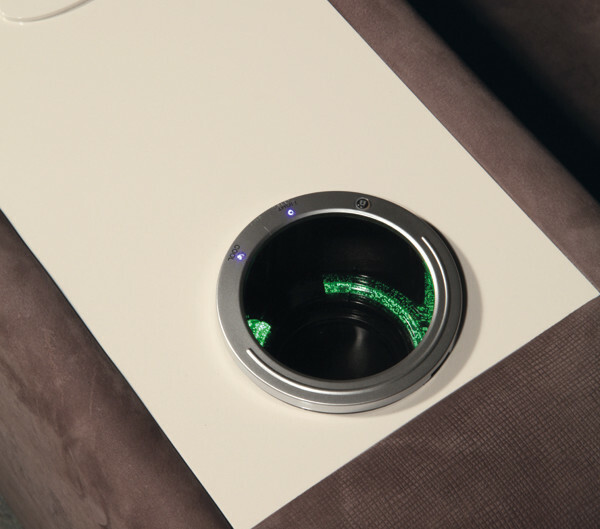 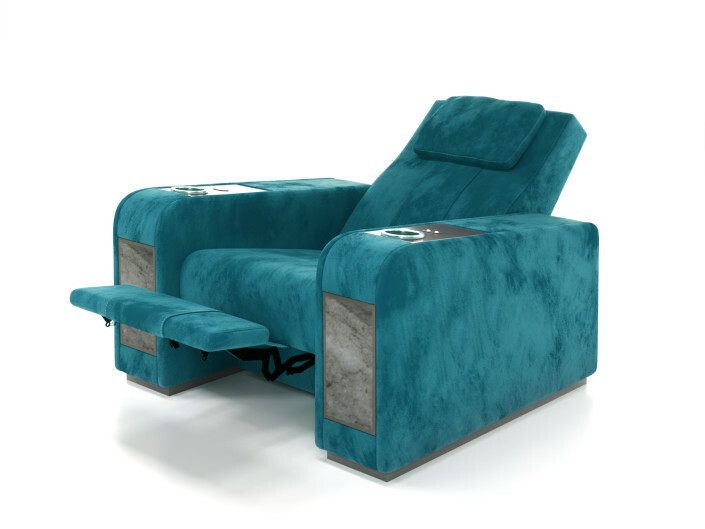 Comfort Recliner can be customized with cooling cup holder, USB chargers, swivel touch lamp and an exclusive bar unit that rises up from the central arm. 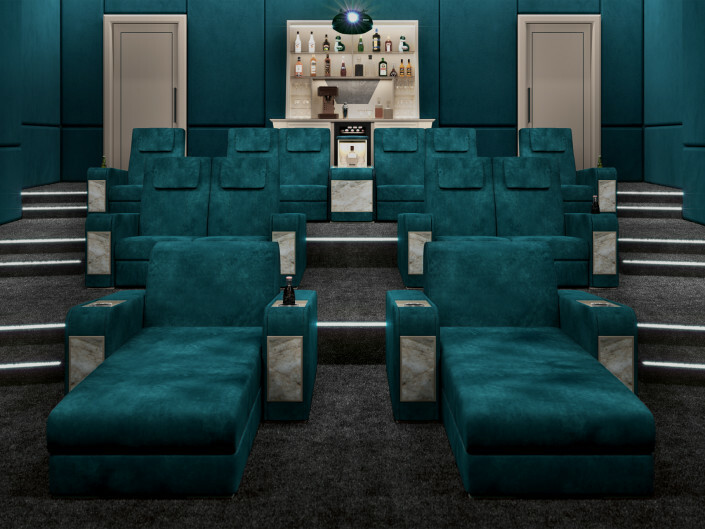 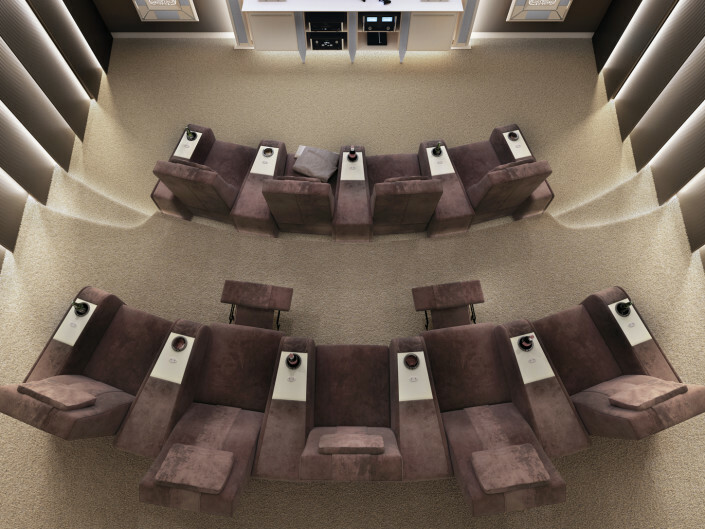 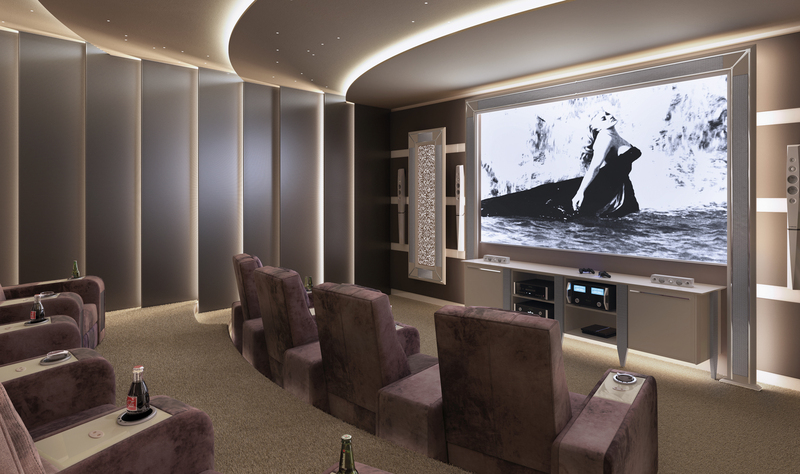 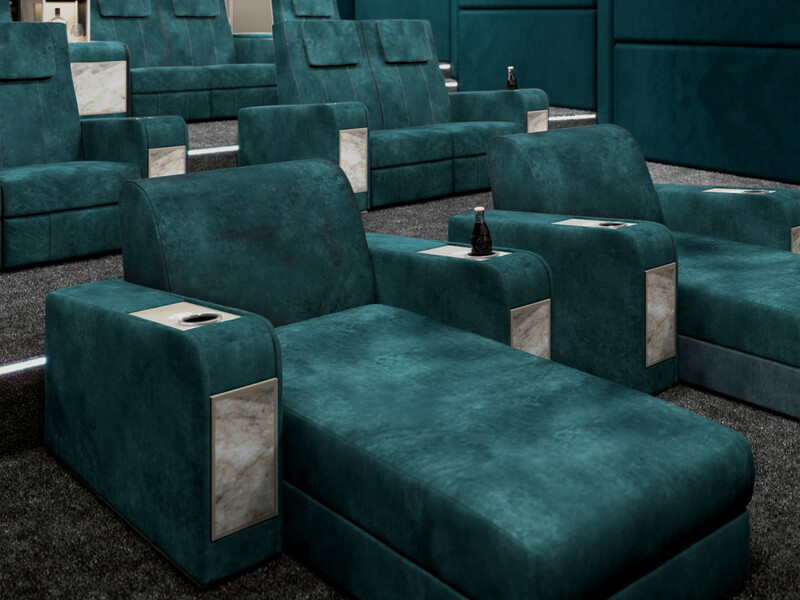 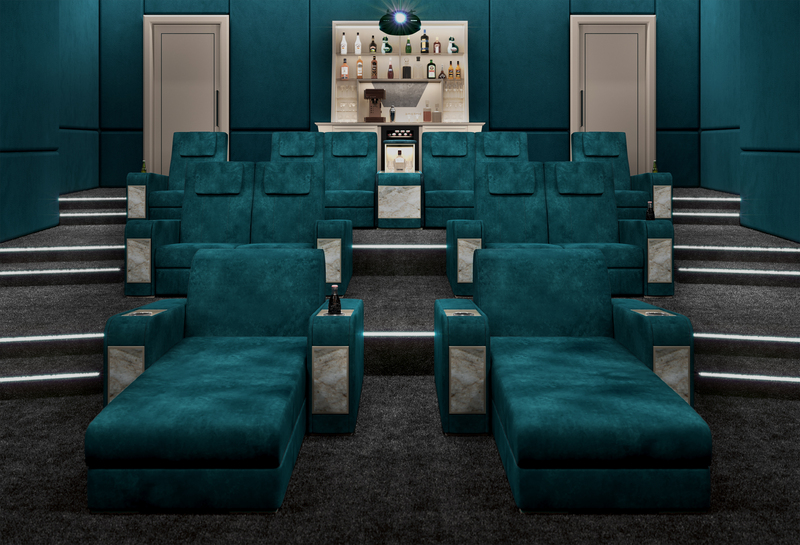 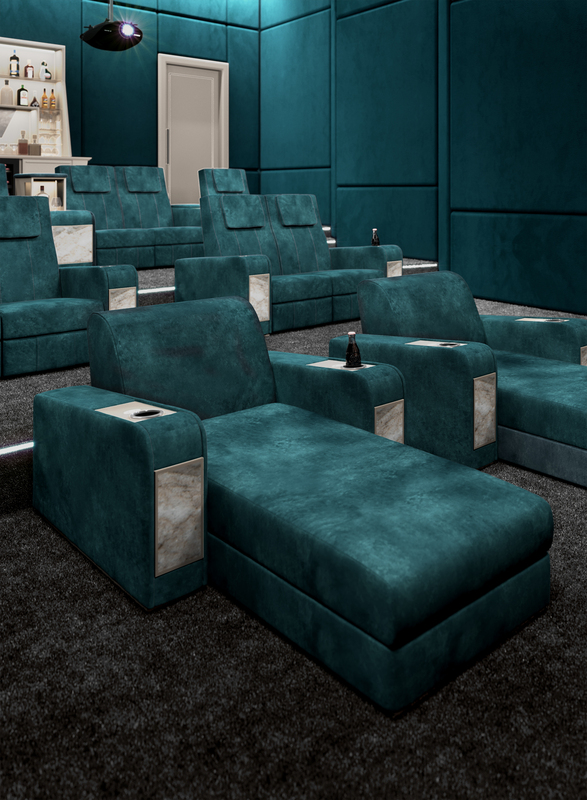 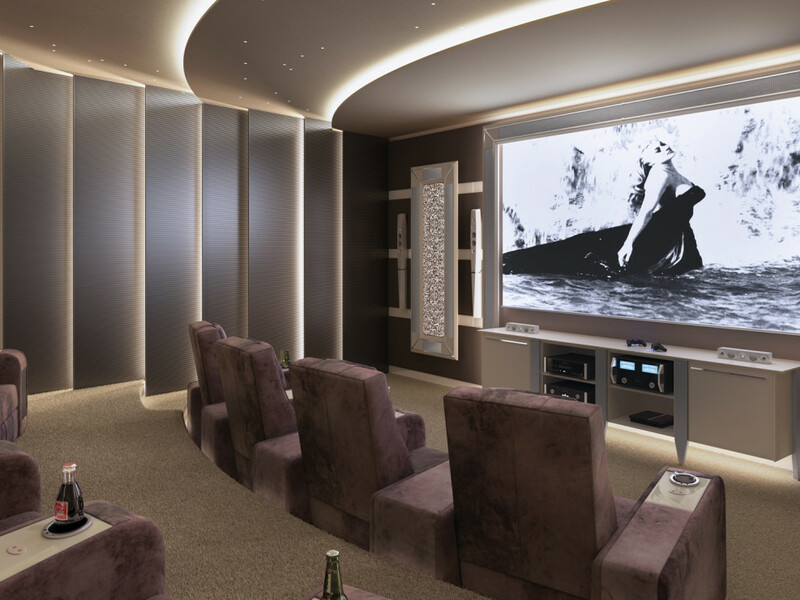 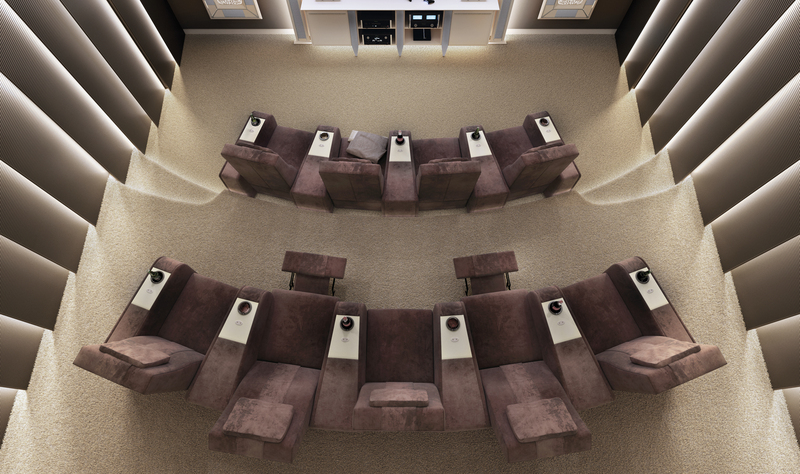 The great versatility in the design of Vismara home theater rooms allows the client to compose its own personal layout choosing between curved or straight row, and including single seating, love-seats and daybeds. 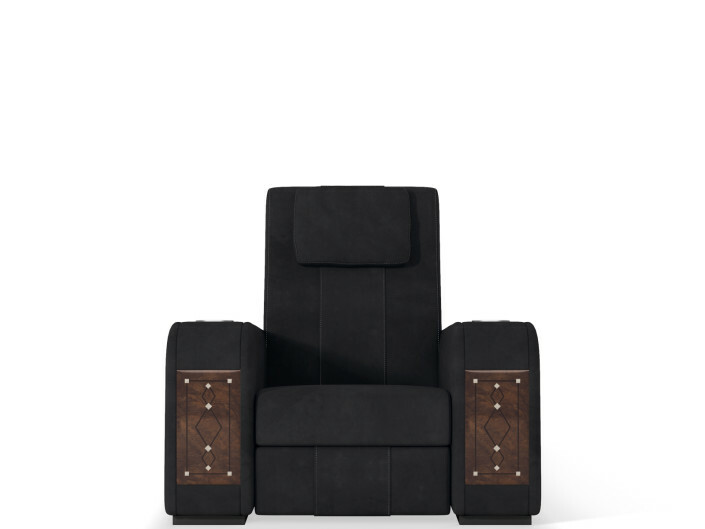 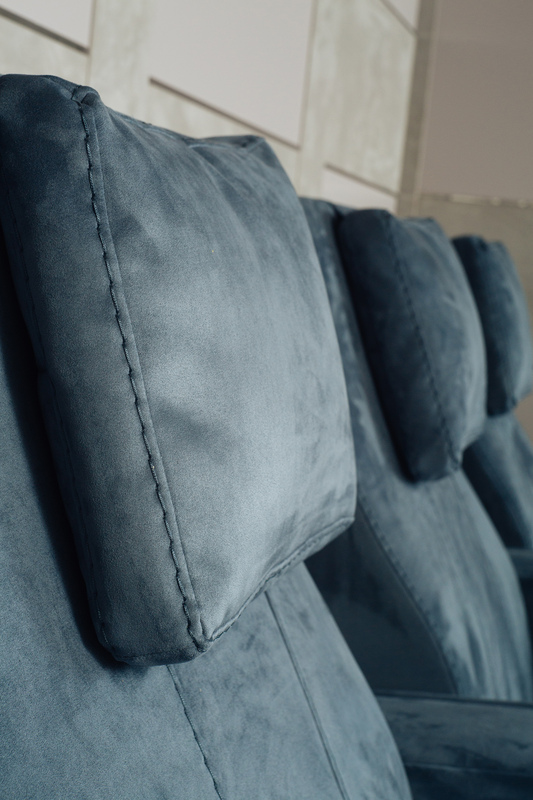 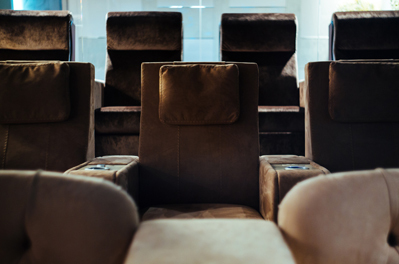 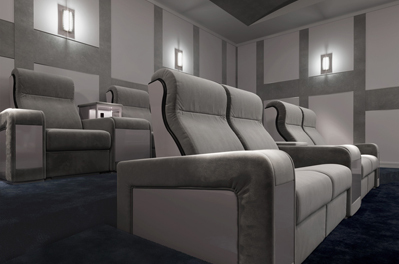 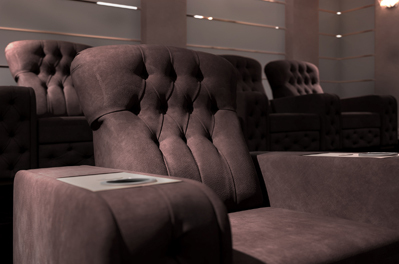 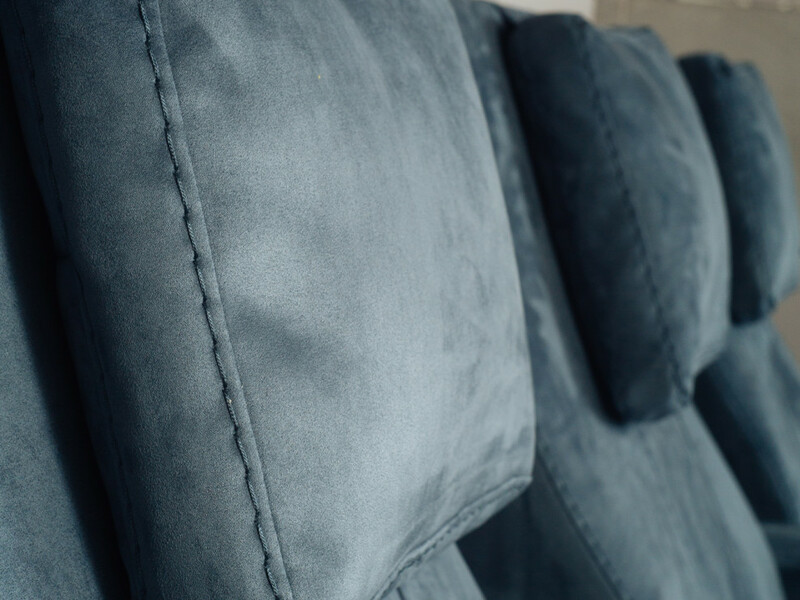 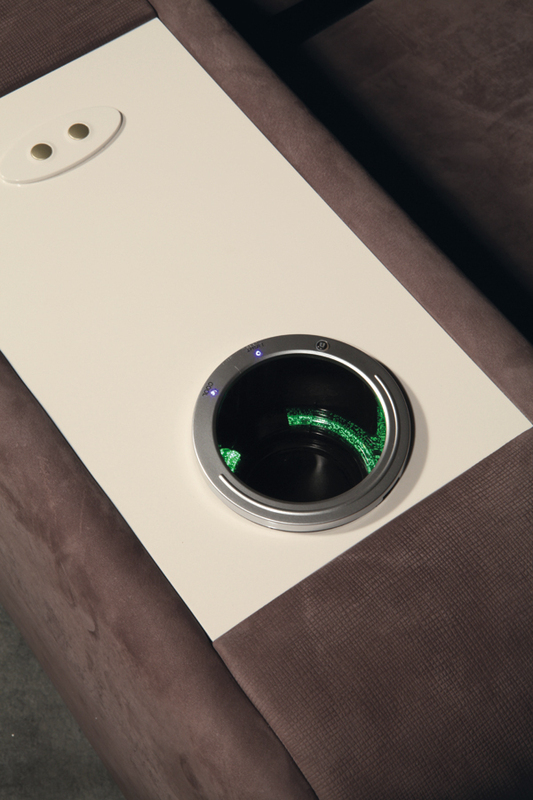 Comfort Theater Seating can be covered with precious leather, fabrics and bespoke cloth according to customer needs.